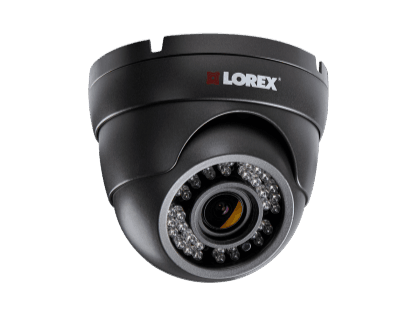 Find out more about the Lorex HD Security Camera with Motorized Varifocal Lens. Includes pricing, features, and frequently asked questions. The Lorex HD Security Camera with Motorized Varifocal Lens is a Lorex security camera that can be used indoors and outdoors. The camera is equipped with night vision and a motorized varifocal zoom lens. 90 ° FOV for monitoring wide, open areas. MPX motorized varifocal lens camera. Pros: Motorized lens for easy image adjustment. Durable metal camera housing. Cons: Less night vision range than other Lorex cameras. Bottomline: A powerful outdoor security camera that can capture video footage in all weather conditions. 100 - 150 ft. / 31 - 46 m.
What are some alternatives to the Lorex HD Security Camera with Motorized Varifocal Lens? Where can I buy the Lorex HD Security Camera with Motorized Varifocal Lens security camera system? You can purchase the Lorex HD Security Camera with Motorized Varifocal Lens on Amazon, or on the Lorex website. Does the Lorex HD Security Camera with Motorized Varifocal Lens work at night? Yes, the Lorex HD Security Camera can see up to 150 ft. in the dark. Can the Lorex HD Security Camera with Motorized Varifocal Lens be used in any weather? Yes, the camera is rated IP66 for use in all weather conditions.